While they accomplish similar tasks, there are actually quite a few differences. Google Sync allows you to keep your Gmail, contacts, and calendars synced wirelessly and instantly between your mobile device and Google’s servers. When used with CompanionLink, it is possible to sync data from Outlook, ACT!, and more to Google. Google Sync can then sync contacts & calendars to you mobile devices. Google Sync is free to use, and it works well for users who want a simple sync. Secure Hosted Wireless, on the other hand, allows you to sync contacts and calendars, as well as tasks and memos, directly between your mobile device and your PC. One unique advantage to Secure Hosted Wireless is that we do not actually host your data online like Google. 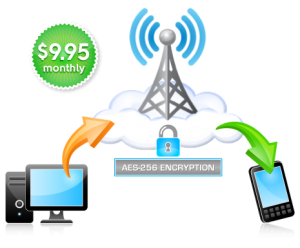 Additionally, we protect your data with AES-256 bit encryption. This alleviates potential security issues, which can be a big concern for business users. Since Secure Hosted Wireless sync is built to work directly with CompanionLink and DejaOffice on your mobile device, we are able to provide you with more advanced control over your data, as well as end-to-end support. Secure Hosted Wireless is $9.95/month and it works well for users who need a more secure, advanced wireless sync. If you have any questions about the differences between these two sync options, let us know in the comments! This entry was posted in Tips and Tricks and tagged companionlink secure hosted, google sync, sync, wireless by David. Bookmark the permalink.